Large staggered shelf units in bright colours present the products of Moses Verlag: books for kids and young adults as well as non-books. Shelf-sized light boxes featuring portraits of children advertise the company on all sides of the booth. 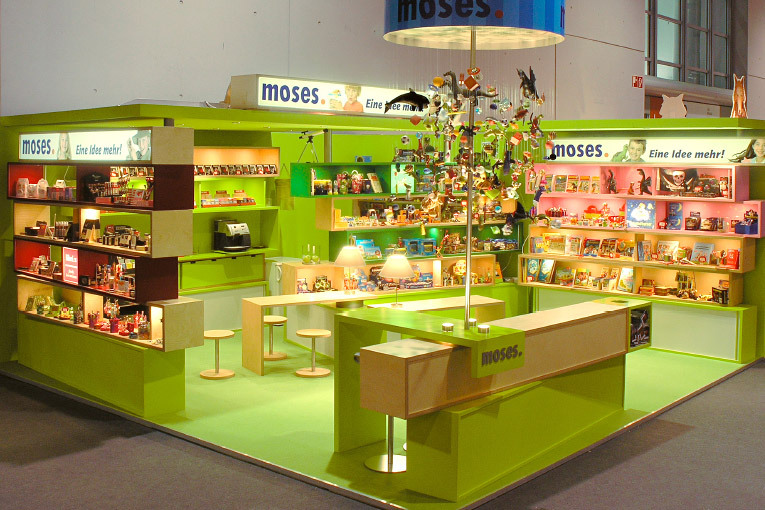 The information desk attracts attention with its large Moses mobile made up of characters from the product range. Watching over this is “Kleine Moses” – visible from a long way off. Comfy chairs are available in the middle of the stand and in a separate consultation area.